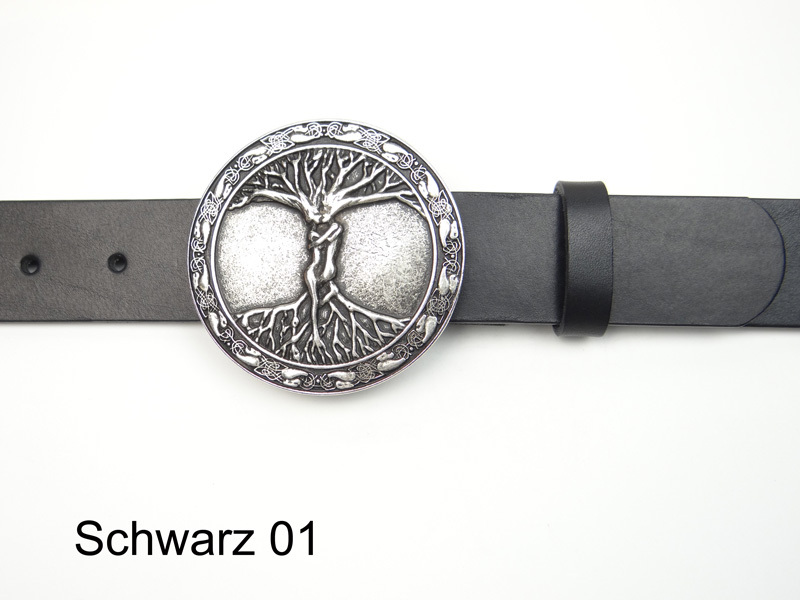 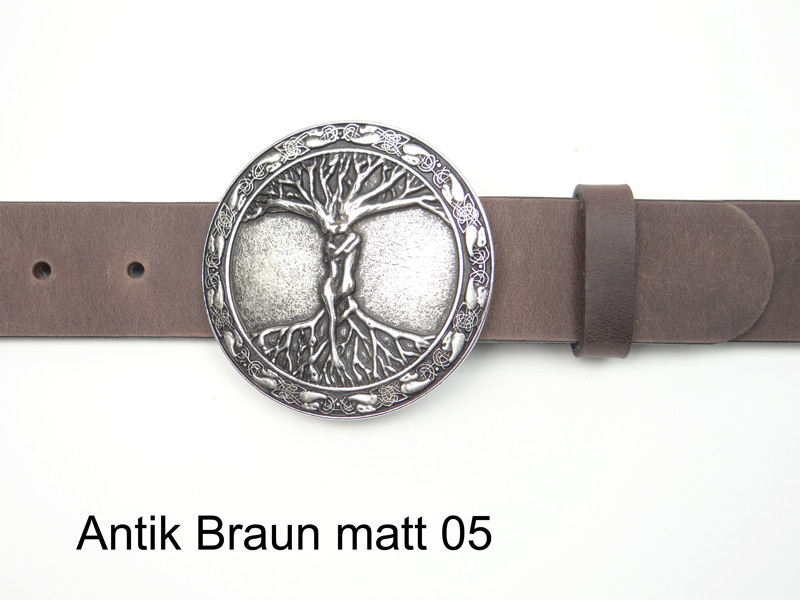 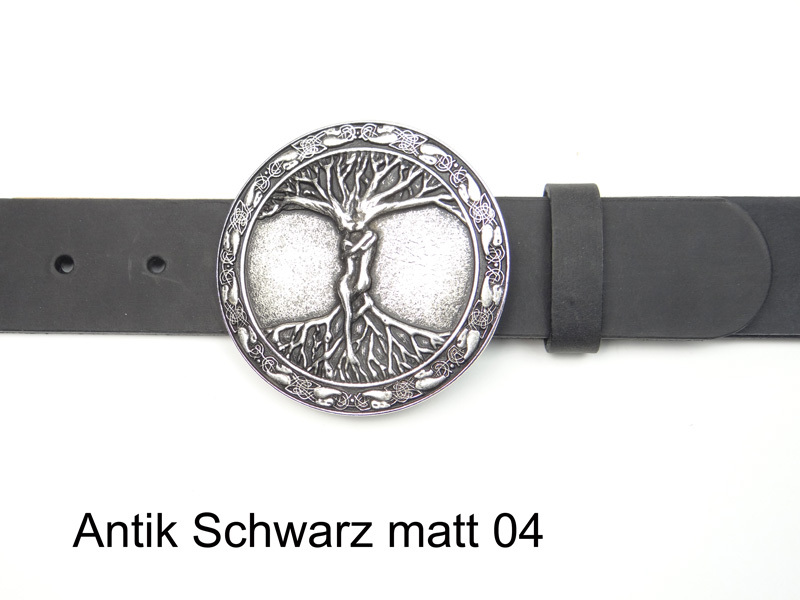 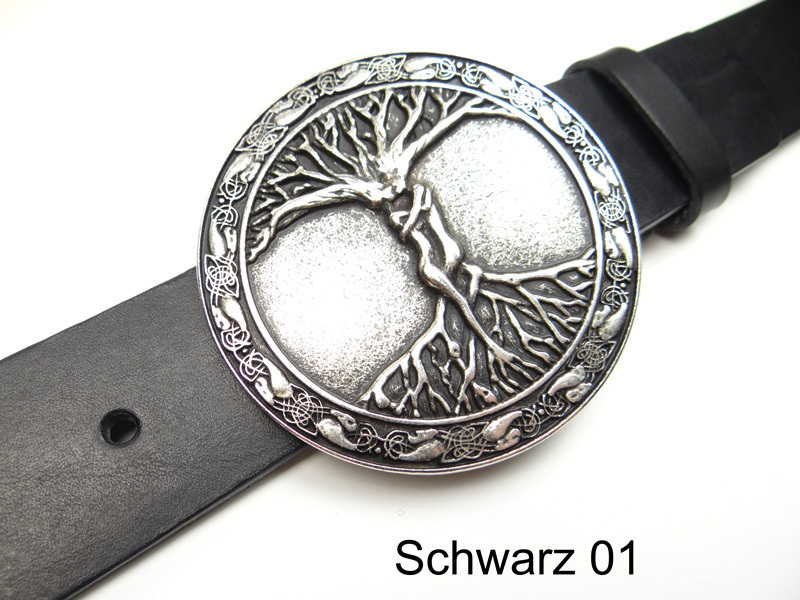 Leather belt 4 cm wide with an antique silver finish buckle featuring a tree of life design. 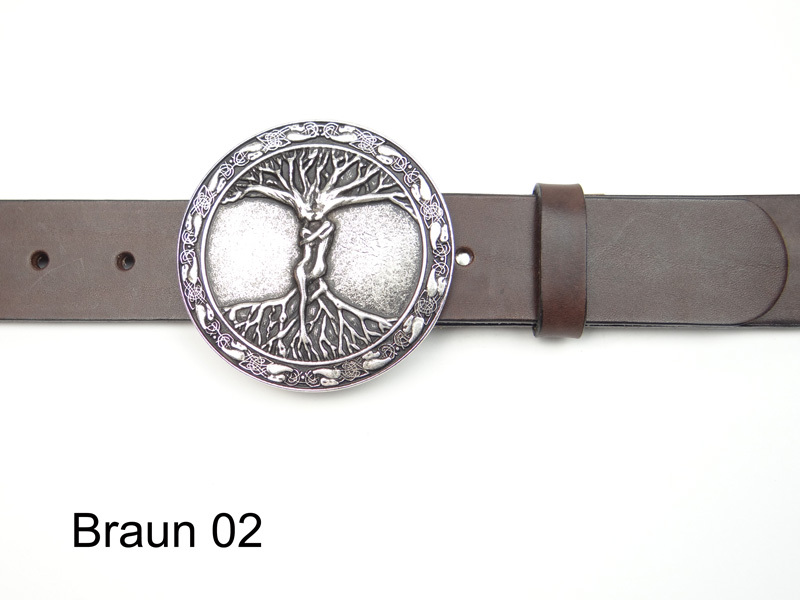 Available in 5 different strap colours and all sizes. 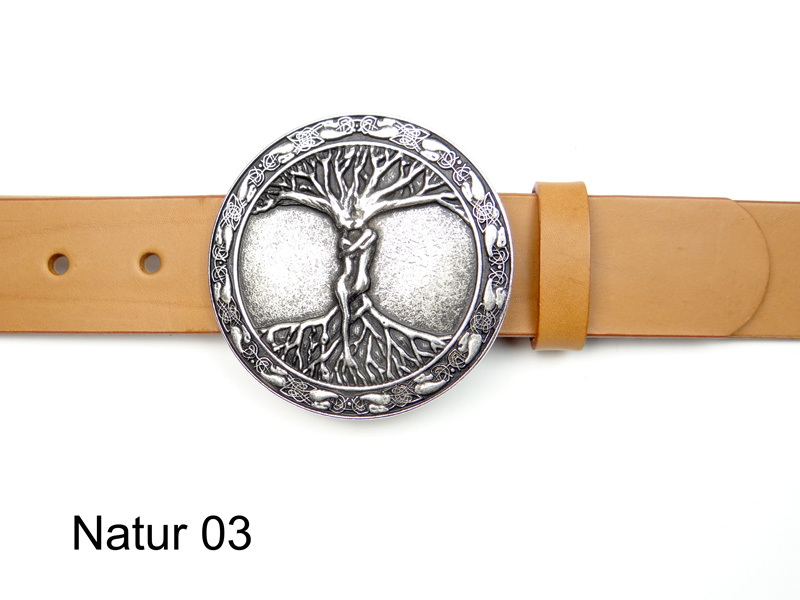 We use only naturally tanned and through-dyed cowhide for the production of our belts. The belt buckle is nickel-free.